For hundreds of years people were perfectly content to embrace the simple logic that William Shakespeare, respected actor, poet and dramatist, was, in fact, William Shakespeare. It had not occurred to anyone that this man, so well-known to his contemporaries, might be part of a conspiracy to conceal the truth that another penned his works. 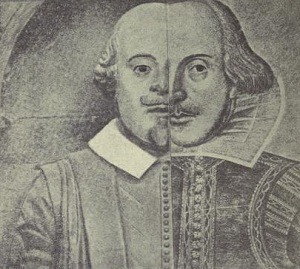 The authorship craze seems to have started in 1857, when American writer Delia Salter Bacon published The Philosophy of the Plays of Shakespeare Unfolded, in which she argued that Lord Francis Bacon, among others, wrote Shakespeare’s plays. Her bold assertions opened many imaginative minds, and soon the ring was full of contenders, including the Earl of Essex, Christopher Marlowe, the Earl of Derby, the Earl of Rutland, the Earl of Oxford, and even Queen Elizabeth I herself. The majority of those few people who still believe that Shakespeare’s works were not his own credit the Earl of Oxford, although supporters of Bacon remain. There is a solid body of evidence to show that a real person named William Shakespeare wrote the poems and plays attributed to him and that this very Shakespeare became an actor in the company that produced the plays. No Elizabethan documents support the claim that Shakespeare’s plays and poems were written by someone else, or that the actor Shakespeare was not the author Shakespeare. There is also no evidence to suggest that the name used by this man who crafted the plays, sonnets, and poems was a pseudonym. And, if we examine the lives of the other potential authors of the plays, we see that they were not associated with any of Shakespeare’s contemporary actors or productions of the plays. In the words of Margaret Drabble: “Over 200 years after Shakespeare died, doubts were raised about the authenticity of his works. The product largely of snobbery…they are best answered by the facts that the monument to William Shakespeare of Stratford-upon-Avon compares him with Socrates and Virgil, and that Jonson’s verses in the Folio identify the author of that volume as the ‘Sweet Swan of Avon.’” (The Oxford Companion to English Literature. Oxford: Oxford UP, 1985 (891)). Roland Emmerich’s new movie, Anonymous (2011), is sure to bring some brief attention to the matter.